The monsoon season Amboli and its surrounding places are full of people enjoying the natures beauty. 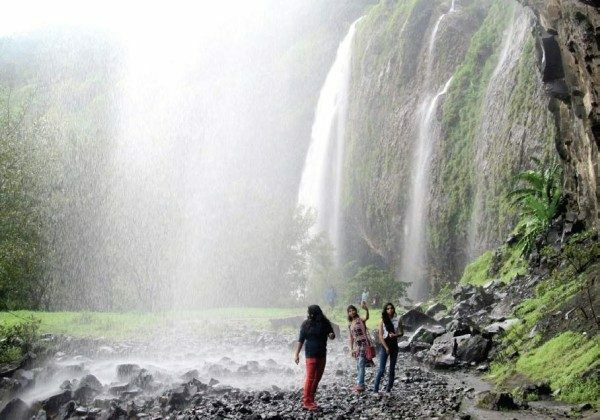 While many just go to the main waterfalls others prefer to go to other placves in Amboli, there were others who used to trek and reach this somewhat hidden water falls near Amboli at Kumbwade known as Kumbwade water falls or Baba Water falls. 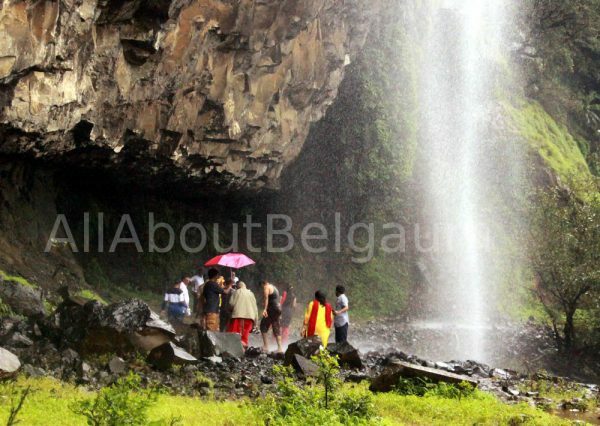 The falls is about 87 kms from Belagavi near Amboli. The Falls is part of a private property. 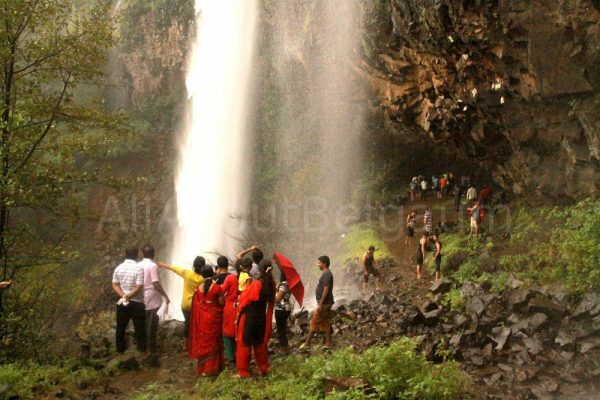 The spot is also known as ‘Baba waterfalls’. As it was closed to the public, most of them would trespass. Caution: Landslides or stones falling from top of the Falls is common so be careful. As it was a restricted area most would try to trespass into the property by jumping over the fence. Landslides are common in that part and hence the Family had decided that it will be restricted. However, a proper road was constructed last year and now it is open for public and even security personnel are deputed. To meet the expenses of maintaining the property and security of the tourists, a nominal entrance fee of Rs.50 person is charged. The beauty of Baba waterfalls is the cave behind the waterfalls. Tourists have to walk through the water curtain to enter the cave.